Big Blue Robot online reputation management article outlines the four steps necessary for developing a successful reputation management strategy. I see situations every day that could have easily been avoided if reputation management goals had been set. With Reputation Management issues top of mind, Don Sorensen, President and founder of online reputation management firm Big Blue Robot releases new ‘how to’ article for online reputation protection. The article, “4 Principles for Clearly Defining Your Reputation Management Goals,” is free and available here. The article outlines the four steps necessary for developing a successful reputation management strategy. 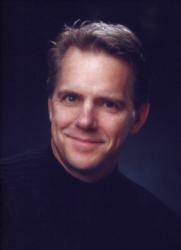 Don Sorensen has merged his 25 years of public relations and marketing experience with SEO expertise to improve and manage the online reputation of public and private companies and corporate executives. Sorensen has been featured in The New York Times and other publications on the subject of reputation management and is now educating, individuals and corporation on defining and executing online reputation management strategies. “It is important to initially define your goals clearly before creating your reputation management strategy. When everyone is on the same page all your efforts are focused toward singular goals and you don’t lose sight of what you want to achieve and how you want to achieve it,” added Sorensen. Founded in 2003, Big Blue Robot (BBR), helps corporations and high profile individuals improve their online reputations. BBR has developed state-of-the-art online reputation management strategies for companies doing business around the world, including USA, Germany, Canada, New Zealand, United Kingdom, United Arab Emirates, and France.